Our budget friendly family studio rooms are designed to give you space for the whole gang at an affordable price. 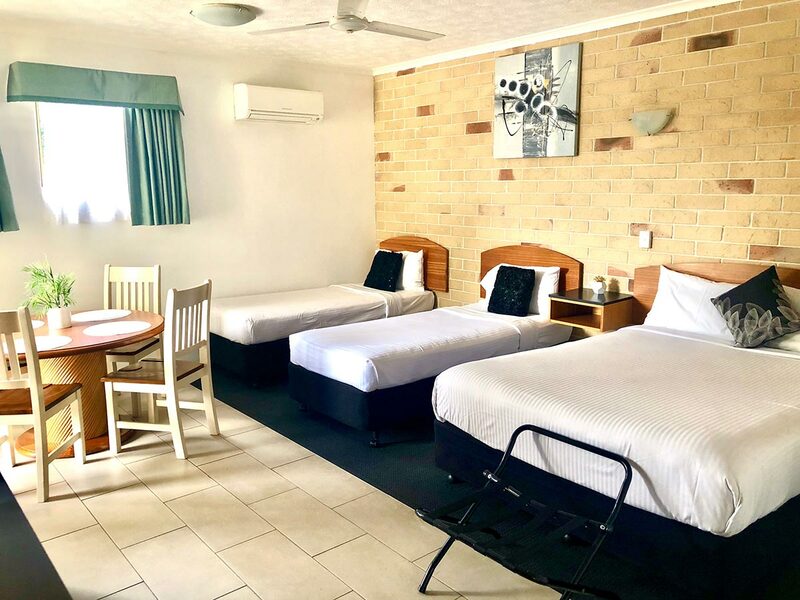 These well appointed rooms give you plenty of space with a Queen and two Single beds so the whole family can sleep easy. 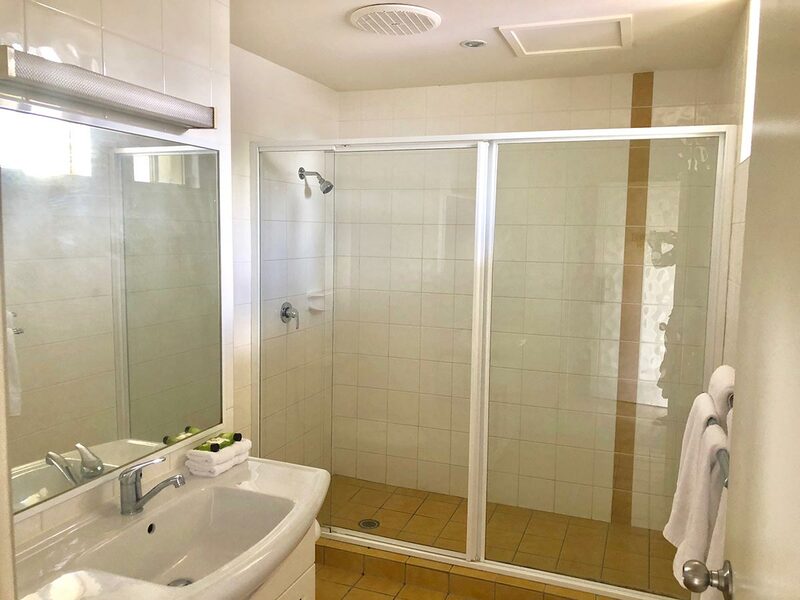 Beautifully designed with relaxing décor, large bathrooms and a patio or balcony. 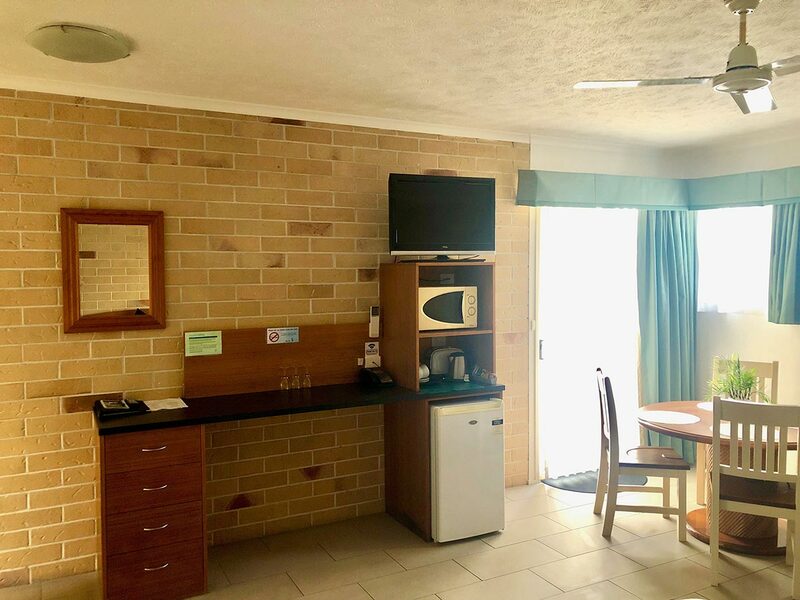 Each room also has a fridge, kettle, toaster, and tea/coffee making facilities with a good sized dinning table and space for your luggage. 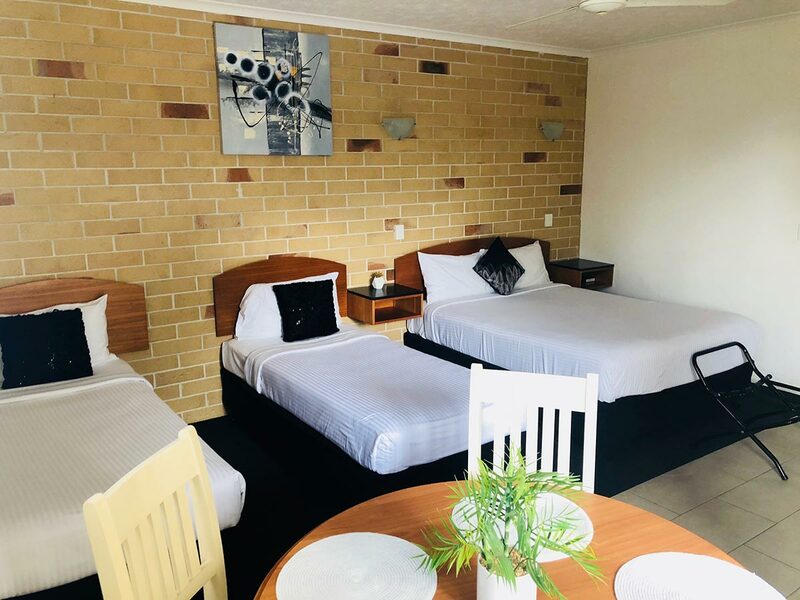 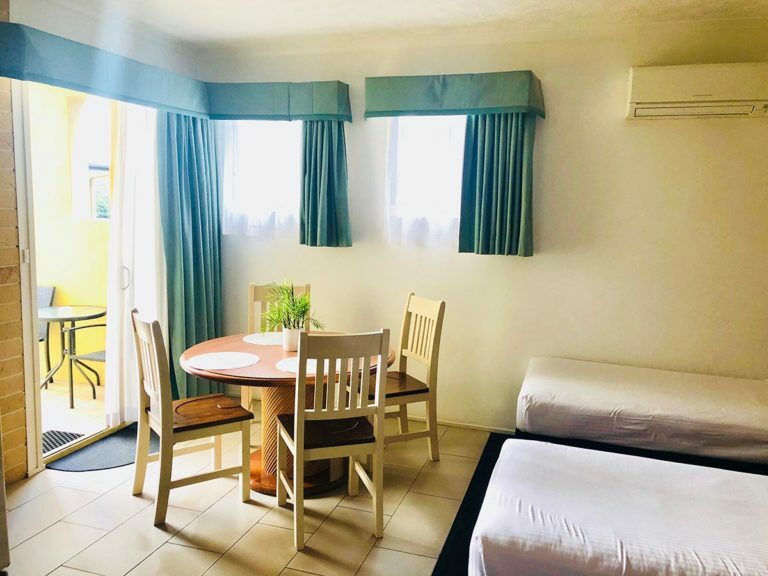 With all these wonderful features and direct access to the Caboolture River, these truly are our best value rooms for the family.